Keeping time on things has always been something the human species is keen to adhere to, and there’s a whole host of reasons why keeping time might be important. Whether it’s musical, appointment based or medical, time is an important factor throughout our modern existence, and helps us measure important metrics such as tone, notes, heartbeats, pulse and more. Ever wonder how having a timekeeping device could help you in your daily life? 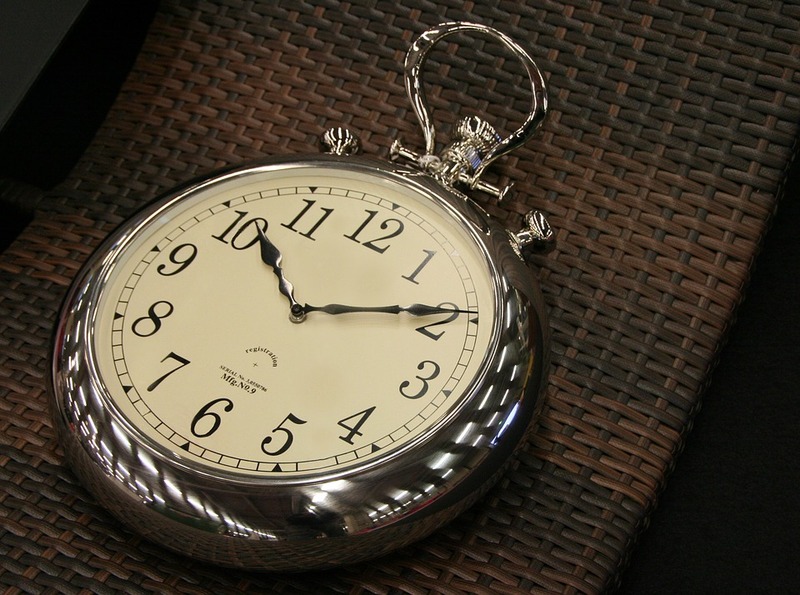 Check out these awesome ways in which keeping time actually help improve your life. We all know that transportation of various kinds required an adherence to timetables and timekeeping. While many people claim to be able to keep time accurately, it seems to be somewhat of a dying breed in this day and age when so many are distracted by this, that and the other thing. Whether it’s cooking a meal, packing or just generally losing track of time, running late seems to be a calling card of the 21st century. Does this sound like something that happens often in your household? Consider using a stylish Fob & Co pocket watch to keep track of time without needing to wear something on your wrist. The use of timekeeping when it comes to health is imperative. Whether you have a time-sensitive medication that needs to be administered or you’re a nurse in the health profession that needs to take the pulses and heart rates of patients, having a timekeeping device at your easy disposal is a huge help. Nurse’s pocket watches are a massive help in the health industry, allowing nurses of all kinds the ability to easily track the vital signs of their patients without hassle. Medications that are time-specific such as insulin would also benefit from the likes of a nurses pocket watch, helping health professionals keep track of when each patient is in need of potentially life-saving medications. When it comes to some of the most beneficial and result-inducing exercise out there, timekeeping is key. HIIT – or high intensity interval training – is one of the most productive forms of exercise out there. HIIT uses a high powered punch of concentrated exercise in a short time frame with as many reps as possible in a predetermined time frame. The likes of Tabata-style exercise relies on timekeeping, with periods of thirty seconds of exercise, ten seconds of rest and the like being the main framework for the workout. Of course cooking is one of the main ways in which keeping accurate time is important. Things like cooking large birds such as turkeys or chicken are time-sensitive depending on weight to ensure a thorough cook without drying out, so a pocket watch or other time keeping device would be key to ensuring that important dinner goes off without a hitch. So whether you work in the healthcare industry, or you’re just looking for the perfect cook on that next massive dinner you’re making for friends and family for a special occasion, there’s all sorts of reasons you might want to get a handy pocket watch or other timekeeping device.